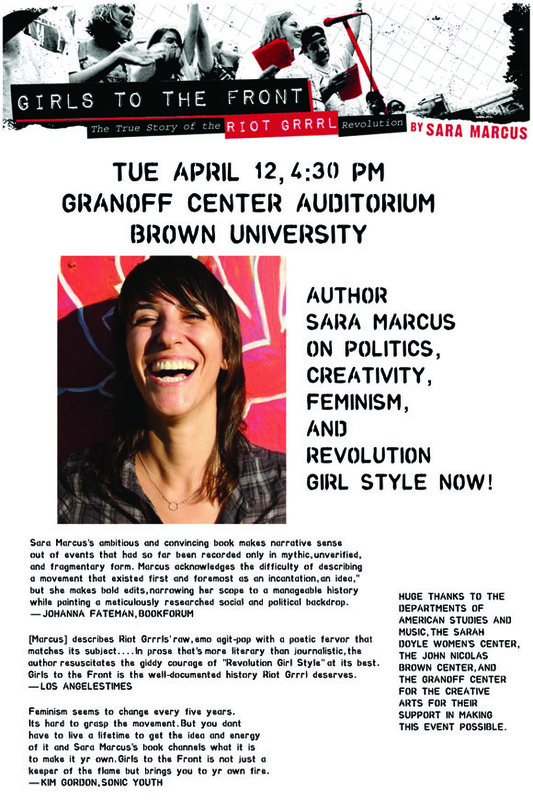 Sara Marcus, author of Girls to the Front: The True Story of the Riot GRRRL Revolution, spoke at the Granoff Center for the Creative Arts at Brown University. Oganized by in collaboration with Betsey Biggs, the event drew students from across both Brown University and the Rhode Island School of Design as well as throughout Providence. Sara also gave a public talk at the Providence Public Library featuring a live musical performance.